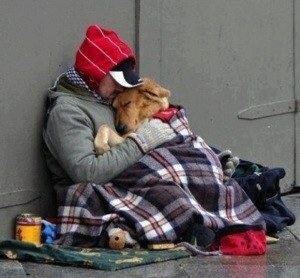 Something to think about: "One Man And His Dog". This picture opens up a whole world of questions that can be asked about the situation this man finds himself in, not to mention the caring, love, and companionship they show each other. It takes a dog to show us where humanity went wrong!